From the Marvel Cinematic Universe card set is the Falcon! He is easily one of the best things from "Captain America: The Winter Soldier" in a movie full of great things. 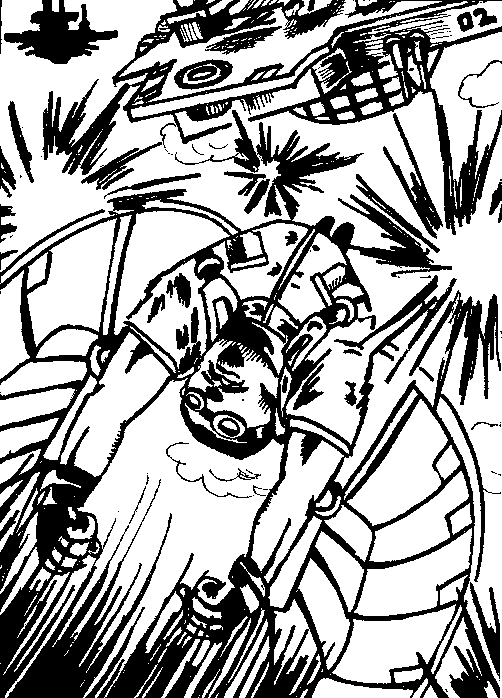 I really liked how I drew the Falcon engaging in a heated firefight with the helicarrier in the background. I am also glad that his "flying at you" perspective worked so well.